Marriner’s new Regency collection has now arrived. Rich colours, vibrant tones, and a soft, chunky blend. 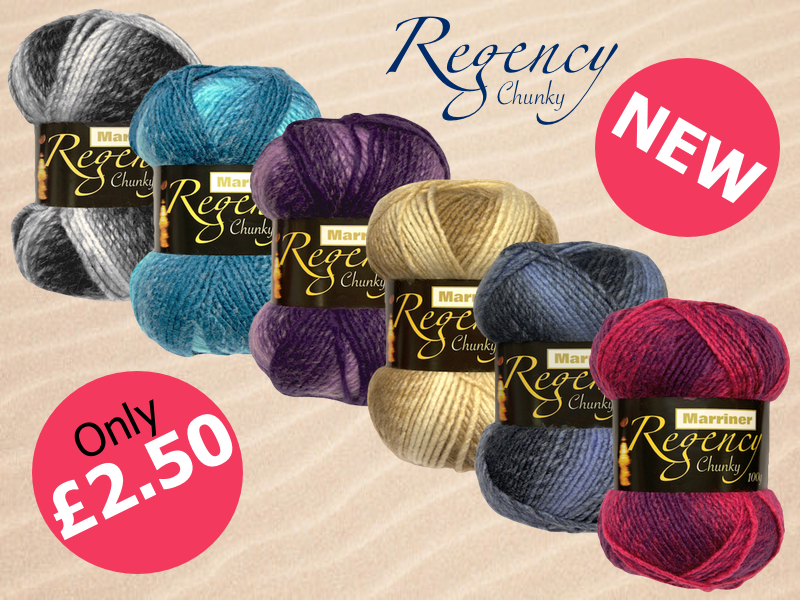 We are excited to show off this striking collection of 6 multicoloured yarns as the autumn approaches. Wrap yourself in Regency this season with blankets, jumpers, scarves and more to keep out the cold. 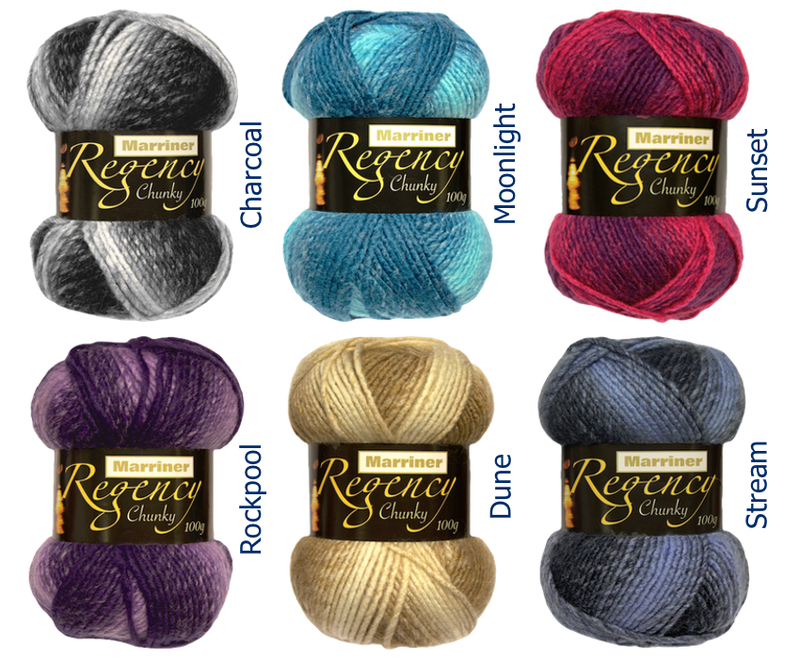 This new Regency collection is at an amazing price of only £2.50 per 100g ball.